Yes it’s confirmed! 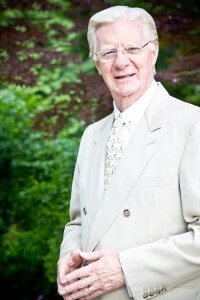 Bob Proctor, one of the great teachers of ‘The Secret’, accepted our invitation and is coming to Cyprus. Watch him in the video above announcing it! Sometimes, dreams come true in the most unexpected ways and you are left in awe about the power of your intentions and how they can indeed shape your reality in the most amazing way…. this is what happened to me when my friend and one of the highest achievers I know, Thrillionaire, Astronaut and Wealth Strategist Nik Halik confirmed to me that he is bringing the living legend of the modern science of success Bob Proctor with him to Cyprus! The two will participate in Nik Halik’s signature event Thrillionaire Revolution on the 27th and 28th of October 2012. I have been following Bob Proctor’s work since I watched the movie ‘The Secret’ back in 2006 and had benefited greatly from his teachings. Bob Proctor is considered the ‘grandfather’ of the personal growth movement and he has been transforming people’s lives for more than 40 years across the planet. Back in 2006 I had made the decision that I wanted to learn the secrets of success from the best. I decided that I wanted trained by the most accomplished teachers in the world in personal growth and Bob Proctor has since been on my wish list of people I wanted to meet. So I took courses, read books and traveled to seminars. I practiced what I learned and experienced amazing results. My shift was so big that I decided I wanted to help other people improve their lives too, by cooperating with some of the greatest living teachers in the world today. It all started after a lot of planning and persistence, with the cooperation with Dr John Demartini, one of the most highly sought out speakers and trainers in the world, bestselling author, human behavioral specialist and philosopher, who presented 2 amazing seminars in Cyprus in 2011. Being a small island, we don’t get the opportunity to see in our country personalities of this caliber often. In the meantime, while looking into inspirational speakers, I had found out about Nik Halik’s inspiring story, being the first astronaut of Greek origin, a self-made multi-millionaire from a young age and wealth building expert (must listen interview with Nik Halik click here) and contacted him to present one of his seminars Cyprus. Being Greek and loving the opportunity to travel back to his origins, Nik accepted my invitation (after pondering on it for more than a year) and flew in from LA in March 2012 when he presented two short very successful seminars. I didn’t know at the time that one of Nik Halik’s mentors is Bob Proctor and that the two maintain a great relationship. So it came to me as a surprise when things perfectly lined up for Bob Proctor to be in Cyprus as a guest speaker at Nik Halik’s weekend training event Thrillionaire Revolution. The Thrillionaire Revolution weekend training will take place on the 27th and 28th of October 2012 at Hilton Park Nicosia and will focus on how you can reach your full potential, live an extraordinary life and create the level of financial freedom that will help you live the lifestyle that you desire. During the weekend event, Bob Proctor will talk about how to create your own economy and learn to think from the inside out. You will learn how to make the mind-money connection, why we get the results we do and don’t get some of the results we would like to, how to bridge the all-important gap between knowing and doing and the creative process to achieving any goal you seriously want. Nik Halik, will talk about how you can achieve your biggest goals and shape your own destiny, how to disconnect from the “System” of controlled thought patterns, what are the untold rules of the Money Game, how to recession-proof yourself by creating your own personal economy and stimulus plan. This weekend event will really be an opportunity for everyone who attends to shift their mindset, take control of their finances and change their life. One of the teachers in the wildly popular movie “The Secret”, Proctor is considered one of the living masters and teachers of the Law of Attraction. He is the bestselling author of You Were Born Rich, and has transformed the lives of millions through his books, seminars, courses and personal coaching spanning the last 40 years. Proctor’s teachings and programs are based upon the lessons learned along the way in his own life’s journey. He comes from a life of want and limitation. In 1960, he was a high-school dropout, with a resume of dead-end jobs and a future clouded by debt. Then one book was placed in his hands —Napoleon Hill’s Think and Grow Rich, which planted the seed of hope in Bob’s mind. In months, and with additional support from the works of Earl Nightingale, Bob’s life literally spun on a dime. In just one year, he went from earning $4,000 to $175,000 and soon topped the $1 million mark. Bob then moved to Chicago to work for his real-life mentors, Earl Nightingale and Lloyd Conant. After rising to the position of Vice President of Sales at Nightingale-Conant, he established his own seminar company in 1973. Bob Proctor now at 78 years old young, still travels the globe, teaching thousands of people how to believe in and act upon the greatness of their own mind, to have rewarding businesses, personal relationships and prosperity. ‘Zig Ziglar may be the master motivator, Mark Victor Hansen and Jack Canfield of Chicken Soup for the Soul, the master story tellers; Anthony Robbins may be the guru of personal development, but Bob Proctor is the master thinker. When it comes to systematizing life, no one can touch him’. Bob Proctor works with businesses and industries around the world, providing seminars and programs that improve companies’ performance and help employees achieve goals they never thought possible. He teaches business leaders, at all levels how to unleash the potential of their most important asset. He is the Chairman of LifeSuccess Productions, which provides consulting services, including training programs and seminars, for Fortune 500 companies around the world. LifeSuccess Productions companies share, through coaching, events, best-seller books, DVDs, CDs and on-line outreach, Bob Proctor’s core vision and teachings that empower people to make profound changes in their business and personal lives.. It doesn’t matter how you grew up, or what you’ve struggled with in life – your mind is unscathed by any circumstance you’ve yet lived and its phenomenally powerful! Bob Proctor’s teachings show you excavate the wonderful gem of your own mind. Here is the link the the website for information and tickets to the event: www.thrillionairerevolutioncyprus.com. Don’t forget to opt-in my blog mailing list on the right, to stay updated about my events.